There have been so many advancements in the manufacturing of automobiles in recent years. Cars have come a long way from their bulky, petroleum-powered engines, and many consumers have taken an interest in the environmentally-friendly hybrid. Hybrid vehicles operate by a fuel-powered engine and an electric motor that uses a battery. 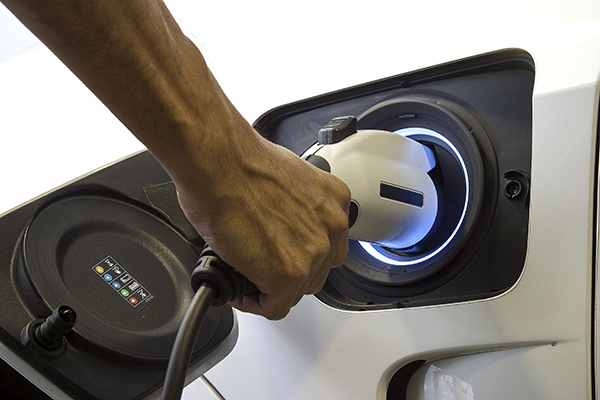 The expert team at Drivers-Licenses.org knows that these cars have paved the way for a more energy-efficient world, and the benefits of the hybrid vehicle go far beyond the gas pump. Gas has become increasingly expensive over the years. Filling your tank is a costly household expense, and that is where the hybrid vehicle gets its major appeal from. Some hybrid cars can travel up to 600 miles before you must visit a gas station, and this is literally unheard of when it comes to the average gasoline-powered car. Owning a hybrid car can save you hundreds of dollars per year on gas. The team at Drivers-Licenses.org understands that families are trying to cut corners and stick to a budget, and a hybrid car might be the ideal investment. Most consumers would be thrilled to discover the average cost of a hybrid car doesn’t break the bank. Hybrid cars are surprisingly affordable, and this is another reason why many people are making the switch from the mainstream automobile. Although hybrid cars are usually a couple thousand dollars more expensive than gasoline-powered vehicles, they are worth the investment. If you are looking to save money in the long-run, the hybrid car is a good choice. Hybrid cars are coming forward as a clean, environmentally-friendly option when it comes to choosing your transportation. The IRS offers a tax deduction for those who made a conscious choice to reduce their carbon footprints. The Clean-Fuel Vehicle Deduction is offered to those who purchased a hybrid vehicle that was first used before 2006. Certain vehicles, such as the Ford Escape Hybrid, the Toyota Prius and the Honda Civic Hybrid qualify for this tax deduction. You can receive a deduction of up to $2,000 when you file. The team at Drivers-Licenses.org recommends contacting your tax professional to see if you qualify for this deduction. With the number of toxic fumes and gases that are released into our atmosphere every day, owning a hybrid car help to reduce this pollution problem. Hybrid cars produce up to 90 percent fewer emissions than standard cars. This is quite significant if you are concerned about the effect automobiles have on our environment. Hybrid cars conserve energy and use less gasoline, and owning one of these vehicles is taking a step in the direction of a cleaner planet for generations. The experts at Drivers-Licenses.org suggest considering a hybrid next time you go car shopping if you are looking to make an impact.